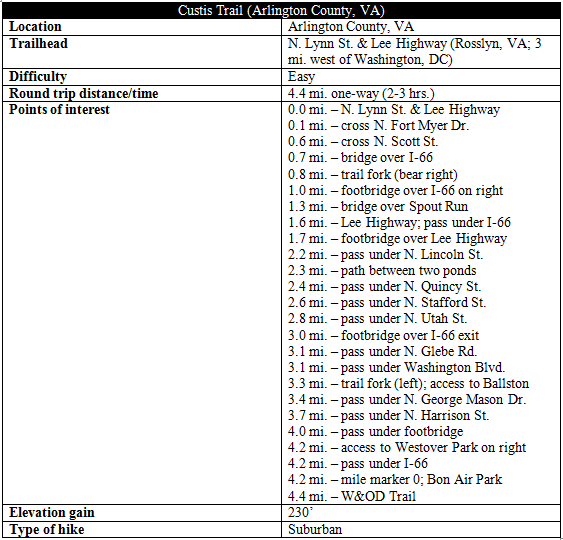 There’s not much to the Custis Trail, which spends the majority of its time following Interstate 66 through suburban Arlington County, Virginia. But it’s popular with runners and bikers as a connector route—the 4.4-mile route serves as a shortcut between the Washington and Old Dominion (W&OD) Trail and Mount Vernon Trail. While relatively easy for walkers, the hilly terrain is likely offer a challenge for cyclists. The trail is well-marked, with prolific signage, and quiet easy to follow. There’s also a tiny dose of history: the track is named for Martha Custis, better known later as Martha Washington, wife of the first president. 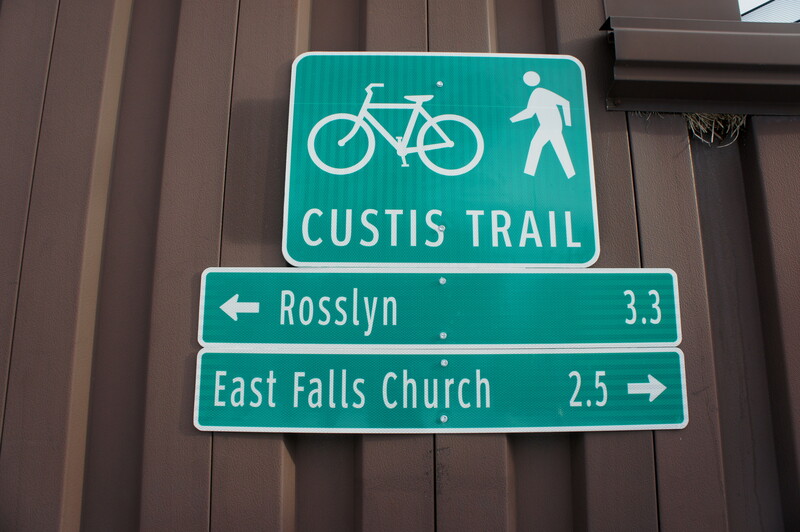 Today, there are nearly three dozen access points along the Custis Trail, but a complete trip starts at either mile marker 0 in Bon Air Park in west Arlington or at the eastern terminus in Rosslyn. The latter is situated at the corner of North Lynn Street and Lee Highway, about a five-minute walk north of the Rosslyn metro station. The trail—heading west from here—is little more than a glorified sidewalk, as it closely hugs Lee Highway for the first quarter-mile. (Note: While the Mount Vernon Trail bears east into the woods, toward Theodore Roosevelt Island, the Custis Trail heads west.) 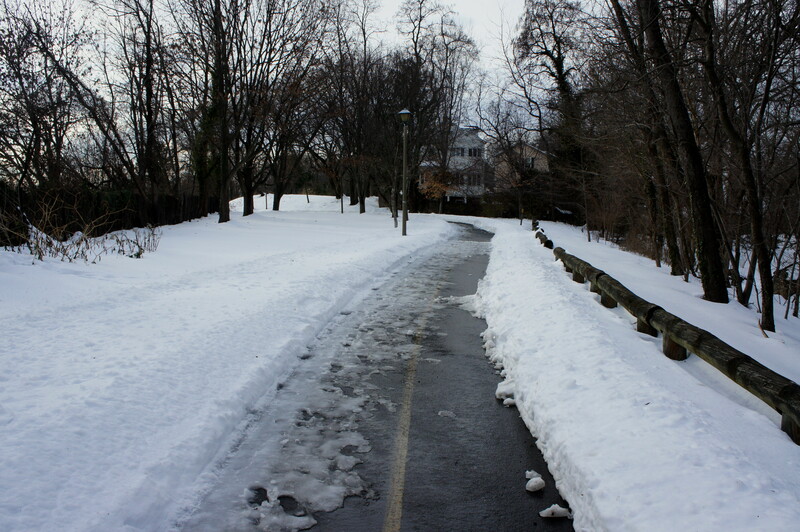 After crossing N. Fort Myer Drive and Oak Street (passing the Key Bridge Marriott on the right), the trail embarks on the first of many hills, this one bounded on the left by a two-story sound wall. With the Park Georgetown Apartments on the right, the roomy route—with distinct lines for two-way traffic—crosses N. Quinn Street and N. Scott Street. 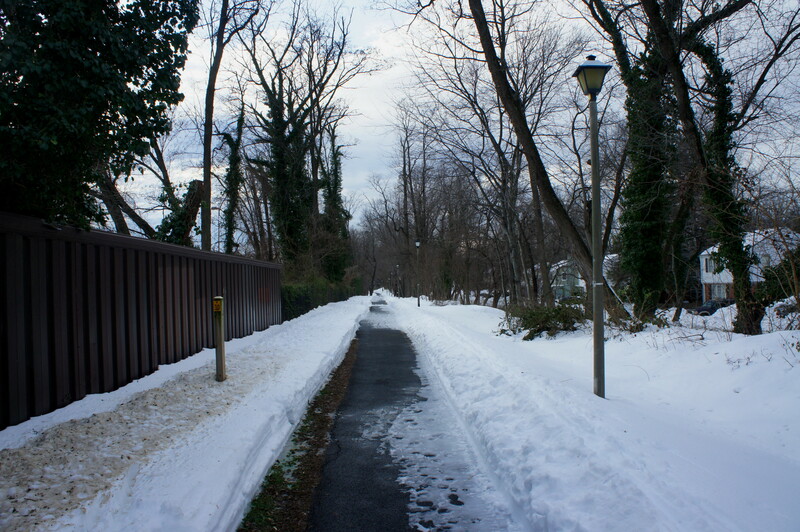 Climbing another minor hill, a spur trail on the right offers access to 20th Street N.
Around ¾ mile from the start, the Custis Trail follows Lee Highway across a wide bridge over I-66; bear right at the trail junction at the bridge’s end. From here the route dips and passes under 21st Street N. Then, with McCoy Park on the left, another spur trail bears off toward N. Vance Street and the Potomac Towers Apartments. At one mile, a footbridge offers passage over I-66 to the right; stay straight, hugging the left fringe of I-66. Here the trail follows a tall, wooden wall on the right while dropping to a point that passes over a pleasant stream—one that includes at least one small cascade. 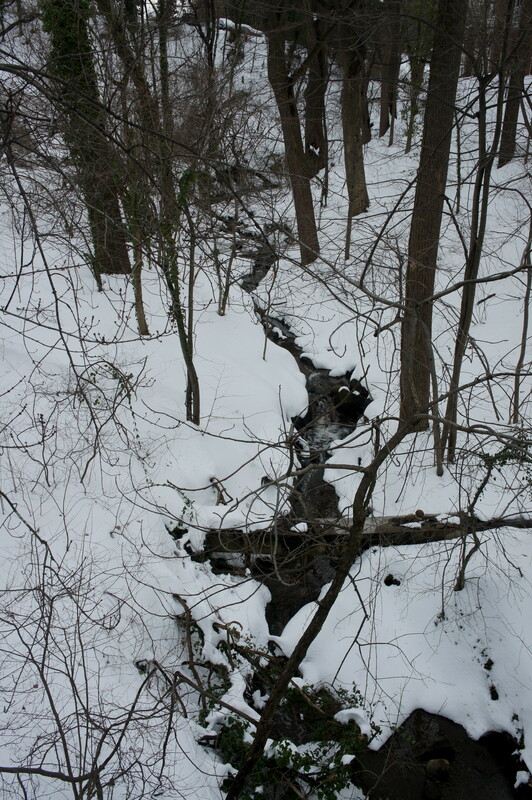 This is a tributary of Spout Run, which is soon crossed at 1.3 miles. Down in the creek bed, Spout Run spills over a set of man-made waterfalls before settling into a gentle flow as it weaves eastward to the Potomac River. After crossing the lengthy bridge over Spout Run Parkway, a paved trail provides access to Lyon Village Shopping Center to the left. The Custis Trail continues straight, backing up to a Giant supermarket before dropping to meet Lee Highway again. Turn right, this time passing under I-66, then climb the U-shaped bend to a footbridge over Lee Highway. By now you are around 1.75 miles from the trailhead. 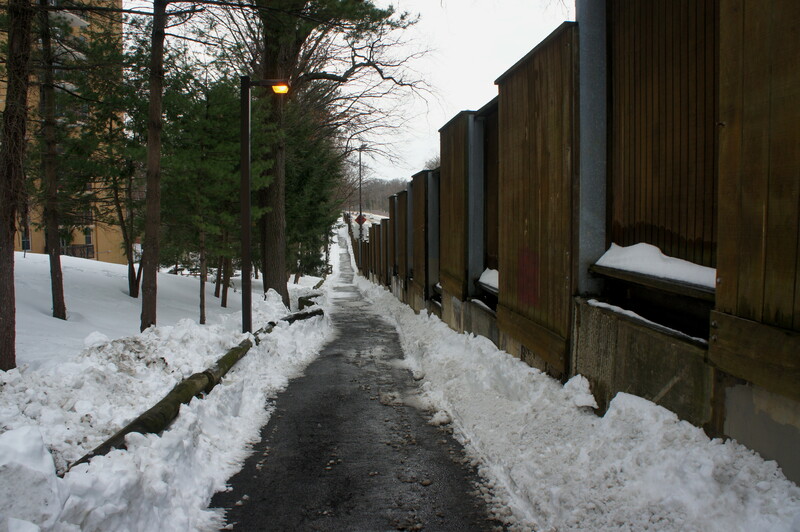 Bearing south, the Custis Trail pulls level with I-66, and the towering wall is replaced with a simple chain-link fence, providing an opportunity to wave at all the commuters as they whizz by. At 2.2 miles, the path passes under N. Lincoln Street—roughly the halfway point—then enters arguably the most pleasant section of the trail. 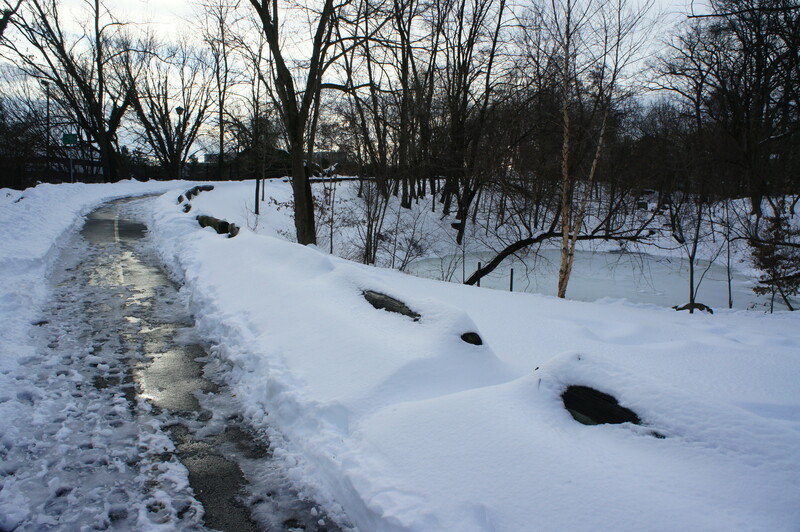 Here the path briefly steers away from the highway and weaves through a park with two small ponds. Benches offer a place to relax and stop for a snack or lunch break, and tasteful lampposts add to the allure. Alas, a hundred yards later, the trail returns to its regular course, following I-66 under N. Quincy Street. 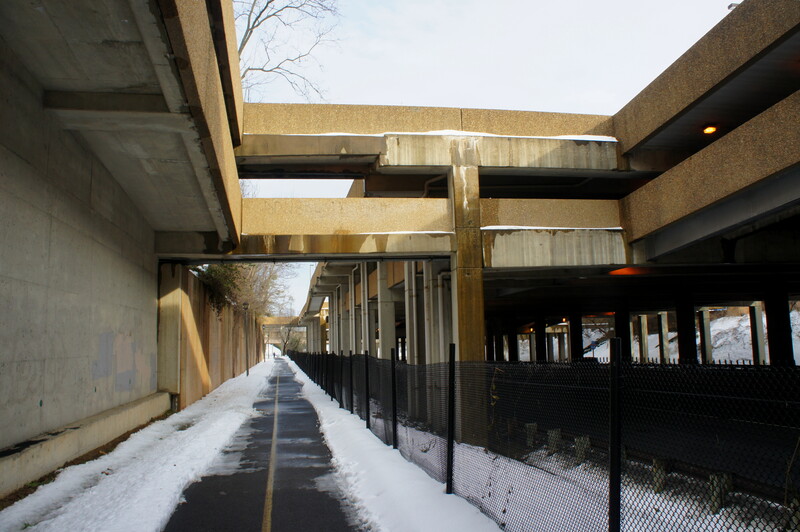 Beyond N. Quincy, the route enters one of the hike’s strangest sections: the pathway passes under a concrete parking garage that was built directly over I-66 (it evidently belongs to Washington-Lee High School)—certainly an odd sight. After a long flat stretch, the Custis Trail climbs its most grueling hill yet—likely to pose a challenge to all but the heartiest bikers. The next half mile is relatively uninterrupted, passing under only one north-south road (N. Harrison Street). Greenery abounds, and the quaint streetlights make for relatively appealing photos—minus the ever-present wall on the left. At four miles, a spur trail up to N. Kensington Street offers access to another footbridge over I-66. Finally, at 4.2 miles, a paved path bears right to Westover Park, while the main trail takes a hard left, dropping through an underpass of I-66. At the end of the underpass lies mile marker 0.0, the official western terminus of the Custis Trail. Technically, however, the path continues another hundred yards or so to meet the Washington and Old Dominion Trail (W&OD) in the northwest corner of Bon Air Park. This is the turnaround point—or, for thru-hikers/bikers, the end of leg one of a three-trail loop around Arlington County. 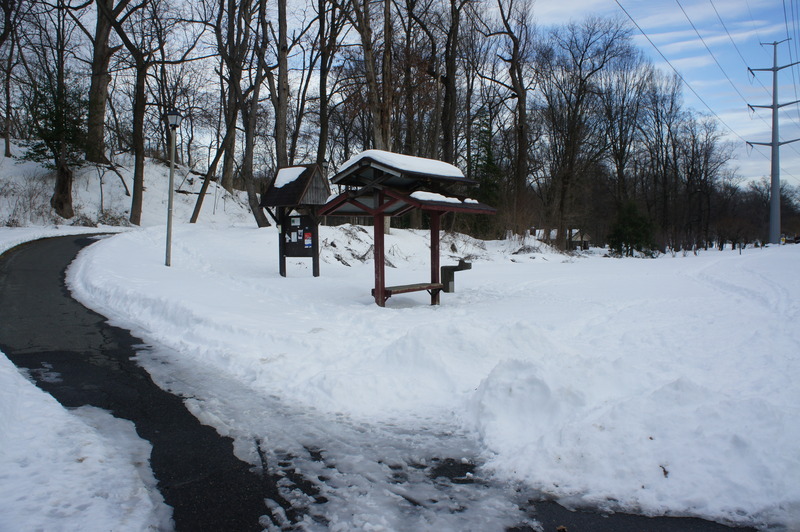 Bon Air Park covers a pretty, wooded area with a few short, interlocking paths and numerous picnic tables. Through its heart runs Four Mile Run, one of Arlington County’s more interesting streams. Instead of returning back to the start, one alternative is to continue right on the W&OD Trail to East Falls Church (a little over a mile), catching the Metro here to return to Rosslyn. You can also return to mile marker 0.0 and continue right (i.e., don’t pass under I-66) onto another paved trail that bears east for 0.6 mile to N. Harrison Street, where you can then cross over I-66 and return to the Custis Trail. At a walking pace, expect to spend about two hours getting from Rosslyn to Bon Air Park. Runners can complete the one-way in less than an hour, bikers even less. 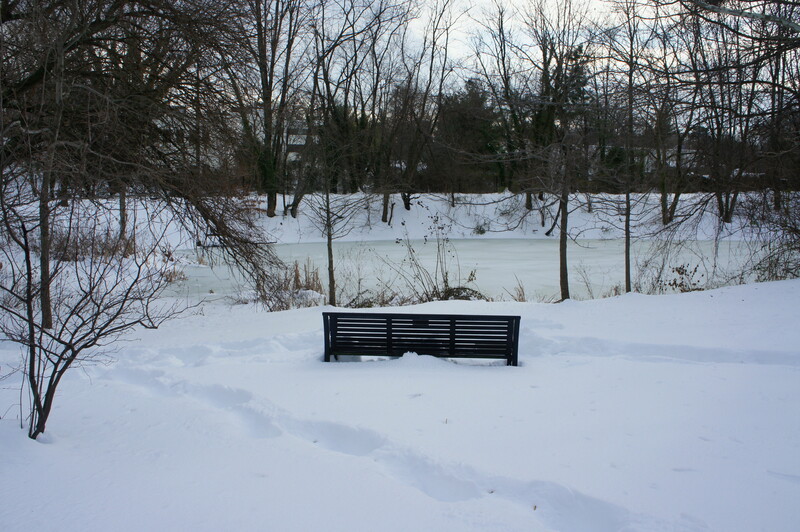 This entry was posted in Arlington County Parks, Easy Hikes, Virginia and tagged Arlington, Ballston, Bon Air Park, Custis Trail, I-66, Martha Custis Trail, Rosslyn, Spout Run, Virginia, W&OD Trail, Washington and Old Dominion Trail, wheelchair-accessible. Bookmark the permalink.